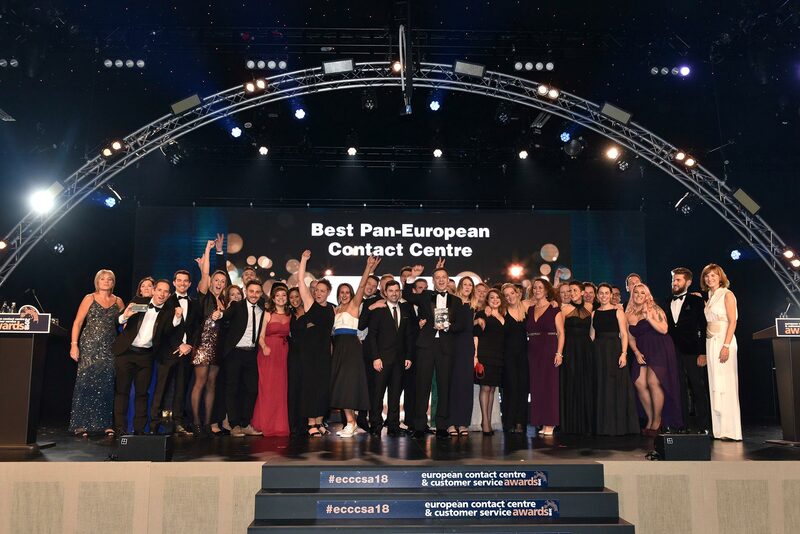 The European Contact Centre & Customer Service Awards (ECCCSA) began life as the European Call Centre of the Year Awards back in 1997 and was organised by Janette Menday, who was the publisher and editor of Call Centre Focus and organisations could only enter under six categories. The company that was to eventually become UBM took over managing the awards in 2000 and in 2015 this was passed over to the Call Centre Management Association (CCMA). I’ve been fortunate enough to have been involved in judging the ECCCSAs on and off for the past 18 years; which probably makes me one of the longest serving judges on the current panel. I’ve seen the way both the awards and the judging have evolved over the past two decades, all of these changes have kept it topical and have made being a finalist or winning an award more of an accolade. In the beginning judging was all site visits conducted by a pair of judges per category. There were around 20 – 26 of us on the judges’ panel, comprised mostly of consultants from the UK. We met up and sat around a table to review the entries and shortlist the organisations to visit. We then met up again after all the visits were completed to discuss them and put the case forward for who should win or get citations in their category. I remember those meetings had lots of lively discussions and sometimes our emotions ran high but they were always great fun. The judging carried on this way for a number of years and the composition of judges remained pretty much the same, but as the awards became more and more popular with the number of entrants and categories increasing yearly it eventually became impractical to continue doing all site visits and so the judging format changed into panel interviews similar to the ones conducted today. In those days the number of European entries and visits were quite small. The awards evenings also quickly became very popular as the awards gained momentum and recognition within the industry. In the very early days they were fancy dress and my favourite one was the year when the theme was “Hollywood”. I won’t mention names but it was very funny when Mr Black from Reservoir Dogs was made to dance to “Stuck in the Middle with You”. The events then morphed into the black-tie format we recognise today. The entertainment in the UBM days usually had a comedian compering the event. They were funny but sometimes they did upset the audience, because they took pot shots at contact centres, which is a very easy thing for a comic to do, but that didn’t sit very well with many in the audience because they were gathered to celebrate the best in the industry not to have it berated with tired old stereotypes. Under the stewardship of the CCMA team, the ECCCSA’s have transformed and really taken off. Today, unlike the past the awards are truly European, with judges, entries, site visits, attendees at the awards evening, and winners coming from all across the continent. The judging panel has almost trebled with far more representatives from large organisations who lead the way in best practice, many who are previous award winners. It also has a much more European feel with Contact Centre Associations from Ireland, Italy, Spain, Germany, Poland, and the Ukraine acting as judges. There is a much more rigorous process in place for creating a shortlist of finalists, ensuring that all judges are applying the same criteria against all entries. The judging process is panel interviews in combination with an increasing number of site visits. Today a panel of 4 judges; who are a mixture of industry experts, representatives from best practice organisations, associations, and previous award winners, meet with the finalists for each award category. The mix of judges for each panel is based on their skills and expertise against the 27 award categories. The finalists make their presentation and answer lots of searching questions from the judging panel. The awards evening has also seen some great changes too. As I mentioned earlier we now have lots of European customer contact operations attending. The numbers attending reflect the growing importance and prestige of the event. They outgrew their previous home at the Park Lane Hilton and needed to move to Evolution in Battersea Park, a larger venue to accommodate the 1100 people who attended last year. The entertainment is still fantastic but it too has changed to reflect and promote the real nature and sophistication of the industry, so the for the past two years the comedians were replaced and the evening has been compered by the fabulous Fiona Bruce. I have always felt and still feel privileged to be a judge and part of the wonderful transformation that has taken place at the ECCCSAs. All the judges expend a lot of energy and time, and we are happy to do this because it’s all about giving something back to the industry that we love.